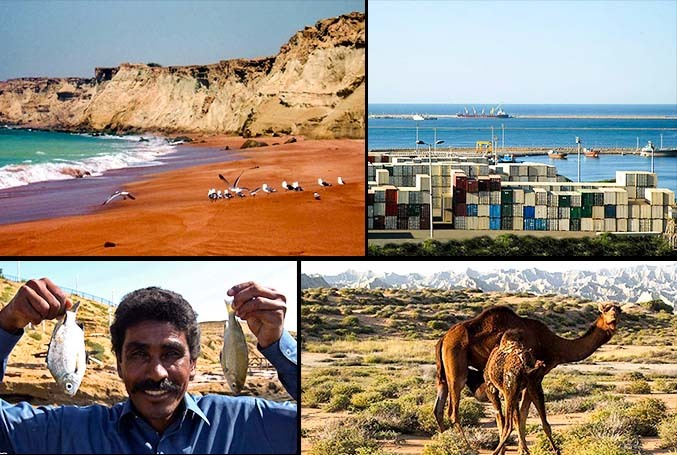 On top of its strategic position as a port city with access to high seas, Chabahar has remarkable natural places and tourist attractions. 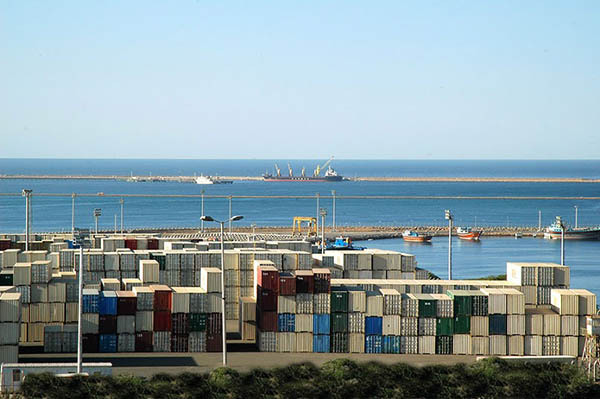 Tis Port, which dates back 2,500 years, is known as Tiz Port in the books on Alexander the Great’s conquests. 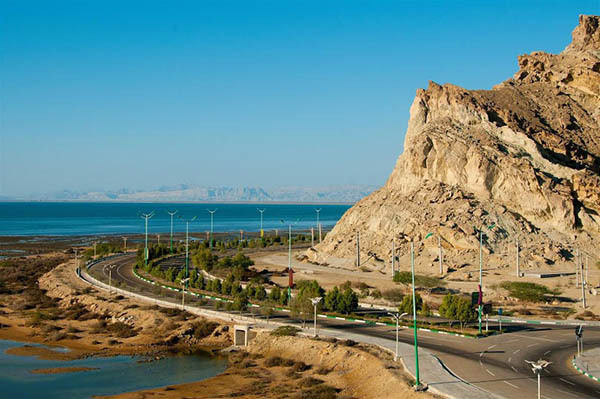 Tis used to be a busy commercial port which was destroyed during the Mongol invasion of Iran. Ancient sites such as castles and graves in Tis Port are indicative of its age-old civilization. 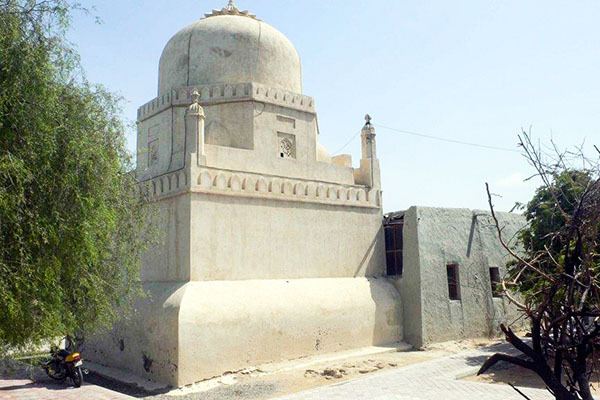 Tis Mosque is located in a beautiful namesake village, 9 km from Chabahar. The mosque was first built 1,000 years ago. 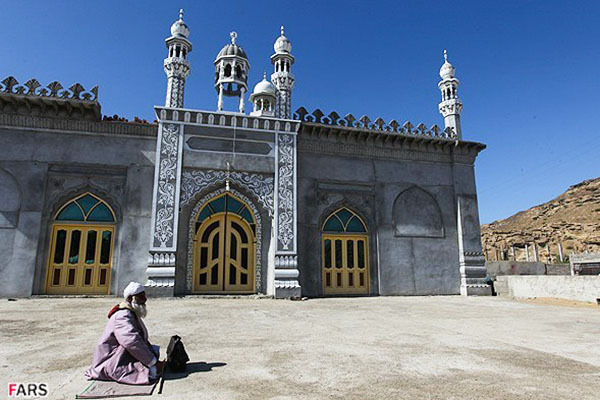 Thanks to the single-minaret mosque’s proximity to Pakistan and India, its architecture and interior design are similar to Pakistani and Indian places of Muslim worship. According to Muslim accounts, Seyyed Gholam Rasoul, originally known as Seyyedena Mohammad, was a Muslim Indian. 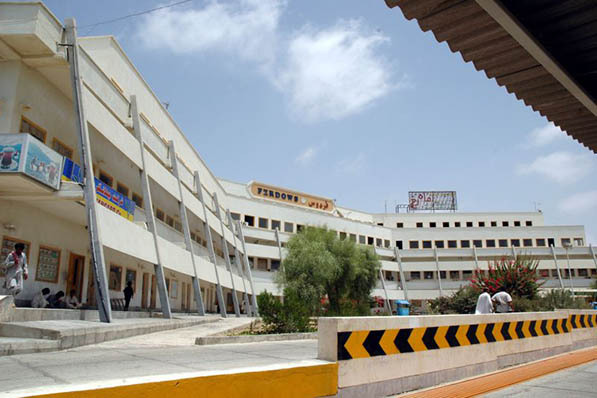 On a visit to Chabahar, he decided to marry a local girl, but on his wedding night he fell ill. In his will, he asked others to refrain from mourning for him and instead celebrate for ten nights to secure blessings for his soul. 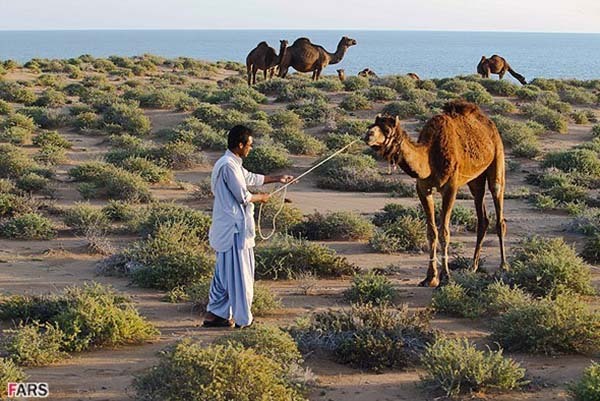 Every year on the 15th of the 11th month of the Lunar calendar, a 10-day celebration is held in his memory at his tomb, 5 km to the northwest of Chabahar. During the ceremony, elderly women enter the tomb to say prayers for others and ask God to heal the sick while men stay outside and play music. The tomb has white walls and Indian-style architecture. The exterior of the structure is graced with paintings and religious phrases. This structure was built in the Seljuq era; its murals were painted later during the Safavid era. The tomb dates back to the 11th century AD. 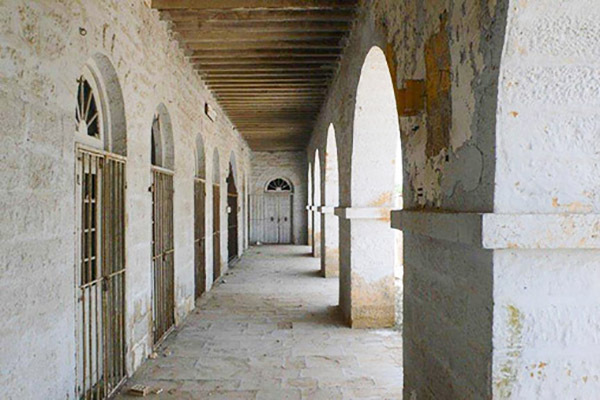 The Telegraph House is the oldest modern building in Chabahar which was built by the British in 1864, at the end of the Qajar era, to promote sailing and trade and connect India, Jask [a city in Hormozgan Province] and Bandar Abbas. The beautiful structure with sloping slate shutters and arches has been registered as a national monument. 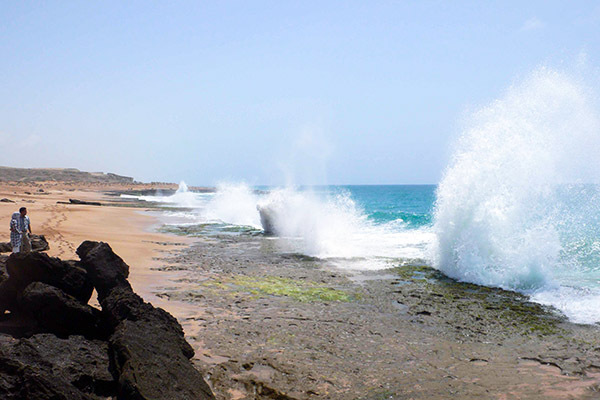 Coasts along the Sea of Oman, particularly in Chabahar, are rocky. 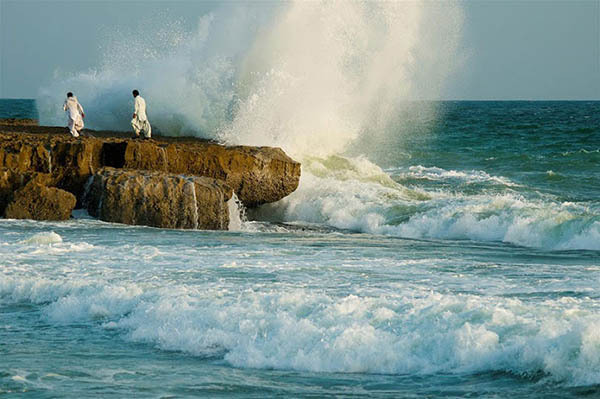 Iran’s most beautiful rocky coasts are in Sistan and Baluchestan Province. Whales can often be seen frolicking off these coasts. In the Shahbazband Mountains, about 25 m above ground level, there are two man-made caves and one natural one. The trio is called Banmasity Caves by locals. In the local language, ban means a pious person and masity is a place of worship. Inside the small natural cave, there is a cubic grave whose dome is 40 cm in height. On three sides of the dome, there are inscriptions and signs in red and purple which are similar to Indian writing. Seven steps away, there is a second cave made of stucco and stone. The third cave is 50 m away. 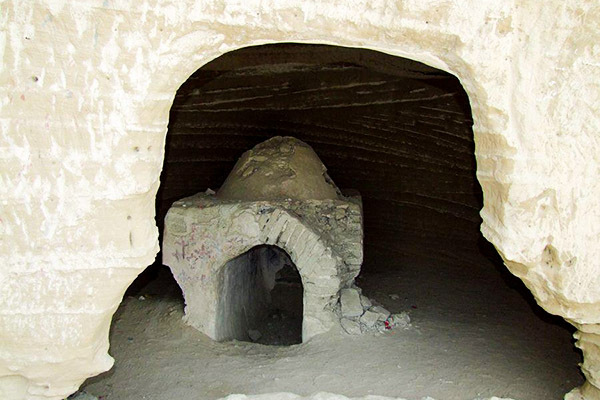 These caves seem to have served as either a shelter or a place of worship. At the entrance to all three caves, there is a platform that seems to have been used for religious rituals. The so-called Portuguese Castle is located on top of a hill in the village of Tis which was an important Iranian seaport during the Achaemenid Empire. 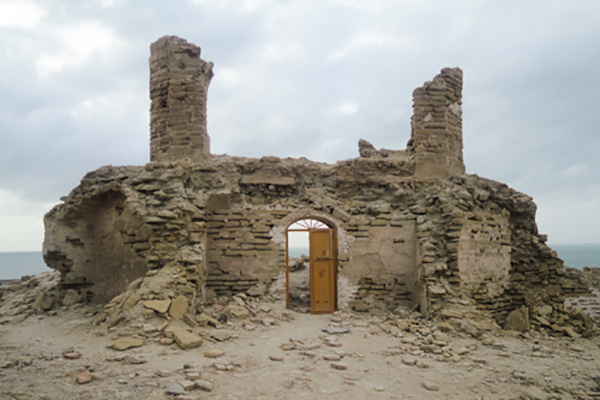 The castle which is five km away from Chabahar was built during the Safavid era. As the Portuguese started to expand their naval fleet in the 16th century, they used the castle as a base to extend their influence in Iran and other Persian Gulf countries. The area where the castle is built on dates back to the pre-Islamic era. The castle has been registered on the list of Iran’s national heritage sites and is being restored. 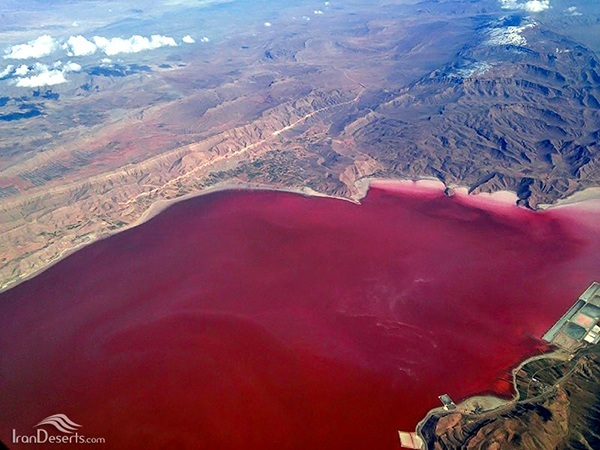 The pink wetland of Lipar is located just 200 meters from the northern edge of the Sea of Oman and south of a namesake village in Chabahar, in Sistan and Baluchistan province. 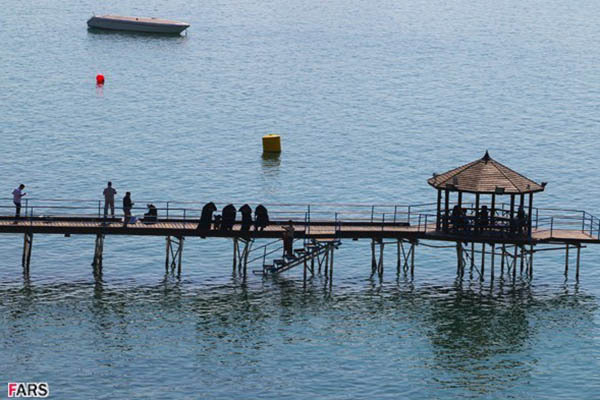 The wetland is one of the alluring natural attractions of the area where those who are fond of the marine environment can catch a glimpse of beautiful scenery. What stands out about the wetland, which sits on the edge of Lipar’s seasonal lagoon 20 kilometers to the east of Chabahar, is its water which looks pink. This body of water which is 10 hectares in area accounts for 90 percent of herbal planktons in the region and is home to a large number of species, flora and fauna. 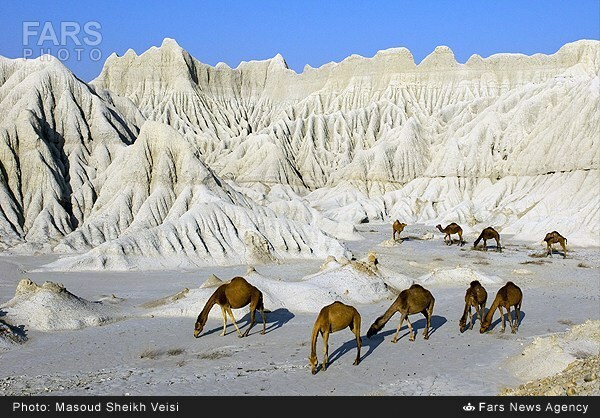 In the northwest of Chabahar, 20 km away from Kahir Village, in a vast plain there is a mud volcano. 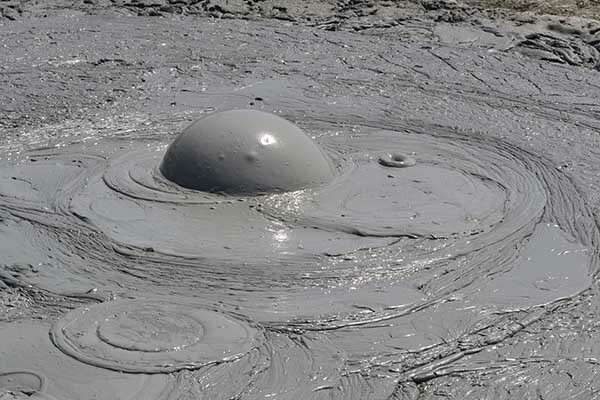 Mud volcanoes are remarkable geo-tourist attractions. 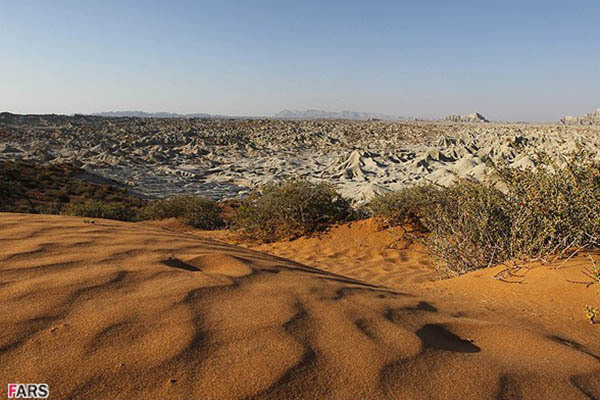 There are only a handful of mud volcanoes – formations created by geo-exuded slurries and gases – across the world. Sounds similar to gunshots can be frequently heard when such volcanoes are active. 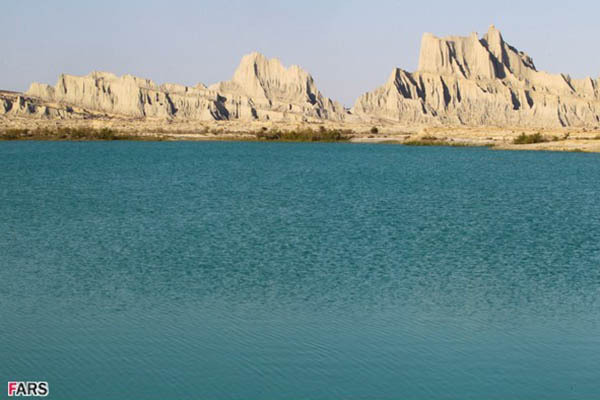 The mud volcano in Chabahar is 20 m in height and its crater is 12 m in diameter. Over the several years of activity, the flow of mud has formed a hill around the volcano where no plant can grow. 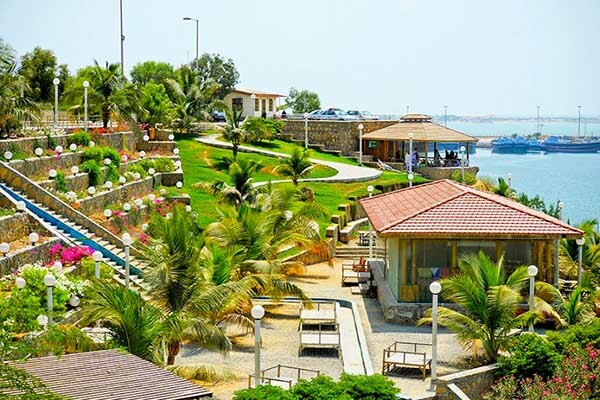 The southeastern city of Chabahar is on the Gulf of Oman with breathtaking natural places which are reminiscent of dreamy images. 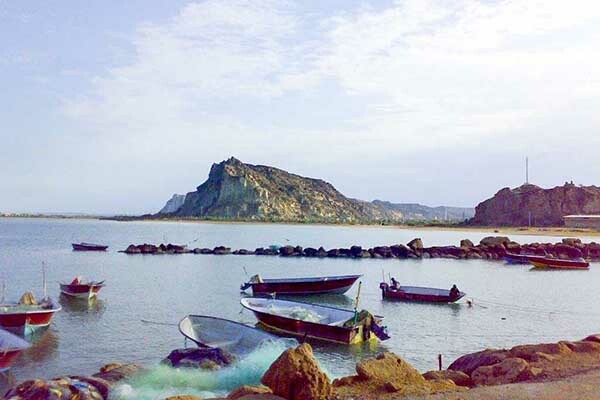 The city is home to astonishing mountains that stand in parallel with coastal areas of the Gulf of Oman. Locals call the mountains Martian because, as far as appearance is concerned, they have nothing in common with other mountains in Iran. Baluchi embroidery is an ancient Iranian traditional art popular with women. Baluchi embroidery is completely different from other styles of embroidery. 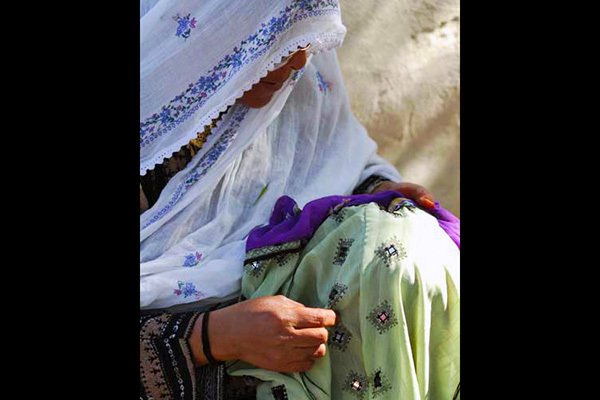 People in Chabahar use such embroidery to embellish their clothes with simple, colorful patterns.